Following a lengthy search process, the Board of Directors of Disability Rights Florida is pleased to announce that Michael J. Brogioli has been named Executive Director. Michael brings nearly two decades of experience in disability rights advocacy at the state, national and international levels. He previously served as Executive Director of the Rehabilitation Engineering and Assistive Technology Society of North America (RESNA). Prior to that, he served as Executive Director of the National Association of Councils on Developmental Disabilities, where he worked closely with the National Disability Rights Network, the association that represents Protection & Advocacy programs—including Disability Rights Florida—to advance policies that benefit people with disabilities. 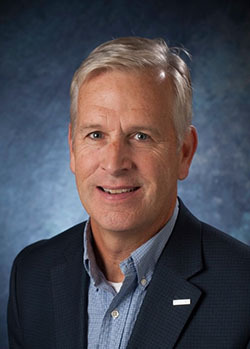 Michael recently served on the AgrAbility Project’s advisory board and currently serves on the Executive Committee of Rehabilitation International as Vice President representing North America, as well as the Board of Directors of the U.S. International Council on Disabilities. Michael received his Master of Public Policy degree from Duke University and his Bachelor of Arts degree in Government and International Relations from the University of Notre Dame. “After a thorough search process, we are pleased to have Michael lead Disability Rights Florida's mission to strongly protect and advocate for the rights of individuals with disabilities in our state," stated Stephanie Preshong Brown, Chair of the Disability Rights Florida Board of Directors. Disability Rights Florida works to advance the quality of life, dignity, equality, self-determination, and freedom of choice of persons with disabilities through collaboration, education, advocacy, as well as legal and legislative strategies. Disability Rights Florida was founded in 1977 as the statewide designated Protection & Advocacy system for individuals with disabilities in the State of Florida. Disability Rights Florida is a not-for-profit corporation that has authority and responsibility mandated under nine federal grants. Our services are free and confidential. To learn more, please visit http://www.disabilityrightsflorida.org.